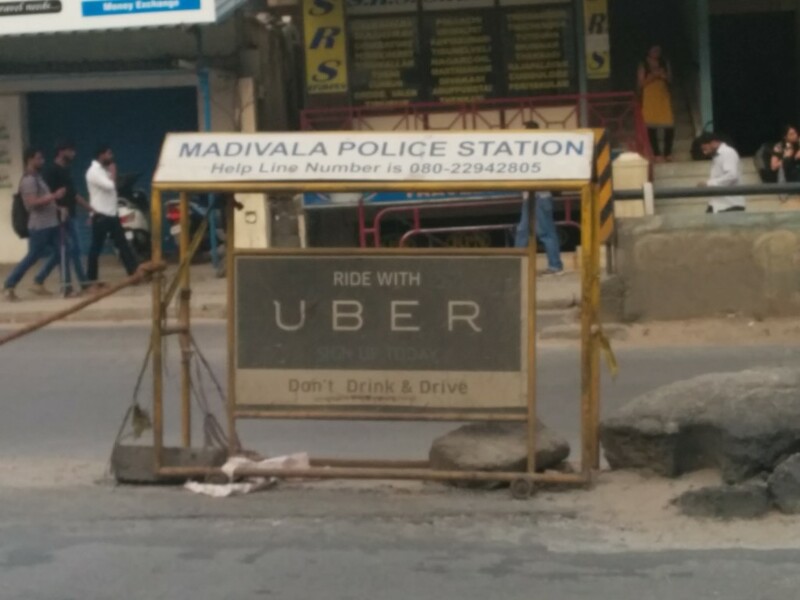 Uber’s been credited with playing a role in helping solve Bangalore’s massive commute problem. By letting people share cars and putting idle cars to use, the company has taken vehicles off roads and kept Bangalore’s pollution levels under check. But it seems that not everything that the company does is for the public good. 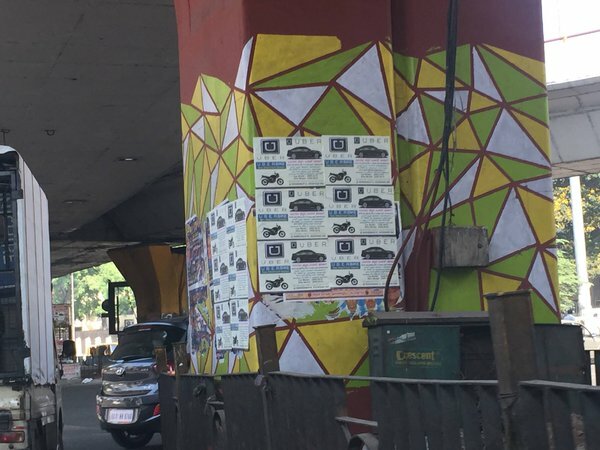 Pictures have surfaced of several Uber posters plastered haphazardly over a Bangalore flyover pillar. The posters bear the Uber logo and seem to be advertising its car and bike taxi services to drivers. What makes this worse is the flyover was painted by The Ugly Indian, a citizen activist group that cleans up and beautifies Bangalore’s walls and flyovers. The group comprises of ordinary Bangaloreans who take time out of their busy schedules and try to beautify Bangalore’s civic infrastructure for free. “300 pillars of Bengaluru’s flyovers have stayed poster-free for over 3 months now due to citizen efforts, and Uber decides to illegally advertise its services on the Anand Rao Circle Flyover. What a shame. We hope they understand the sentiment of the Bengaluru public and remove this poster immediately.”, said Ugly Indian on its Facebook page. Uber is no stranger to outdoor advertising and has been seen on billboards and hoardings around the city to popularise itself amongst potential drivers. But Uber’s latest campaign hasn’t gone down too well with ordinary citizens. We have contacted Uber for a clarification and will update the article when we hear from them. Update: Uber has contacted OfficeChai and denied involvement in the activity. “We are so sorry to hear about this and share the community’s disappointment with this act of damage to public property. Those of you who use our service know that we don’t do this kind of marketing. These posters use the wrong logo, contradict our brand guidelines and employ an ineffective not to mention illegal marketing strategy. We are investigating this on priority and WILL ensure that the individuals responsible for this act face the law.”, said Bhavik Rathod, GM South and West, Uber.